If you like to travel but you like even more the feeling of freedom, the solution is obvious: a caravan. Long ago travelling by caravan meant giving up your comfort, nowadays this is not an issue. The 'home on wheels' gives you the wonderful feeling of freedom and security unique as well as all the comfort you need. The desire for freedom, the atmosphere associated with the caravan hitched up to the back of the car and the smell of food cooked in the warm air of a beach campsite are the elements that make people love this way of holidaying and travelling. No matter if the taste for travelling by caravans was raised by the memories of the excitement of arriving at the campsite when you were a child or by the need of coming back to the roots when people where travelling free, the enthusiasm of caravanners is infectious. The caravan offers a return to simpler holiday pleasures. By returning to the origins of caravans and caravanning, you can find this way of travelling at gypsies and showmen who spent most of their lives in horse drawn caravans. Another historic fact for the story of caravans is that the world's first leisure caravan was built by the Bristol Carriage Company in 1880 for Dr. W. Gordon-Stables. It was an 18 ft design, based upon their Bible Wagons, which the Doctor named "Wanderer". Now anybody can buy a modern caravan. Of course there are different sizes, from tiny two-berth caravans with no toilet and only basic kitchen facilities, to large, twin-axle, six-berth caravans with all the luxuries of a four-star hotel. In the last 2-3 years the popularity of caravans and caravanning increased in the UK, maybe due to the excellent summer weather, the fear of travelling abroad due to worries over terrorism, large increases in house prices, which provided people with the ability to raise capital by re-mortgaging their homes or just the need for a simpler holiday and more freedom. 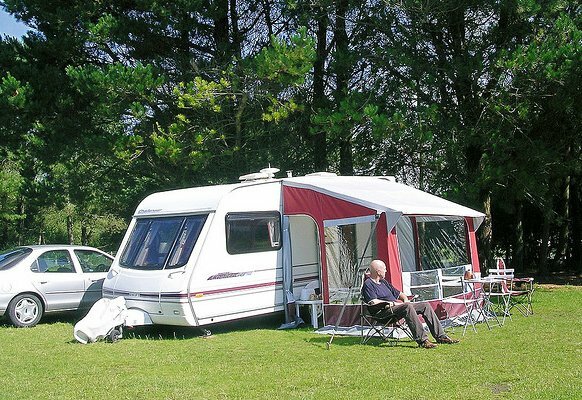 No doubt one of the reasons for the growth in popularity of caravanning has also been enhanced by the improvements in quality and facilities making caravan holidays possible at any time of the year not just summer months. The features of a typical mid-range, modern caravan should be: Gas/Electric powered refrigerator, Gas/Electric powered stove, oven and grill, Gas/Electric powered water heater, one or more beds, some of which double-up as daytime seating, electricity supplied by battery or external hookup, toilet with removable disposal tank and flush-water tank, shower, Radio, TV aerial/satellite dish. They may also contain the following: Air, External barbecue points, Tow hitch stabilizers, CD players, awning or screen room, clothes washer and dryer, microwave.